The “Hausstandsbuch” [record kept by the local police stations that listed Frankfurt´s residents sorted by street and house number] for 62-64 Röderbergweg (main location of Gumpertz´ infirmary) has not been found yet so that, correspondingly, there is not much data available for the nursing staff and other employees in the home like the nurse Paula Ring and the domestic servant Rachel Kaplan. However, additional information can be gained from the “Hausstandsbücher” of the hospital of the Jewish community (on Gagernstrasse) and the Jewish nurse association (on Bornheimer Landwehr) as well as the accountability reports (cp. e.g. Jewish nurse association Ffm 1920) and the annual reports (cp. Steppe 1997: 330-333) of the nurse association. From such archival sources we have found the names of the two Gumpertz´ matrons: Thekla Mandel (from 1893/94 until 1907) and Rahel Spiero (from 1907 until 1941). Like other Jewish women across the entire empire, they traveled with high motivation to the Jewish nursing metropolis of Frankfurt am Main, in order to receive professional training with a future. Matron Thekla Mandel (later married Isaacsohn), the predecessor of Rahel Spiero, was born in Lippstadt, Westphalia, on July 22, 1867. As the co-foundress of the association for Jewish nurses of Frankfurt am Main that had been founded in 1893, she was well acquainted with Dr. Alfred Günzburg, senior doctor of Gumpertz´ infirmary and fellow campaigner for professional and distinguished Jewish nursing. Around 1894 she started to build up nursing at the former site of the infirmary, at 75 Ostendstrasse, but retired from nurse service in 1907 due to her marriage. Later she returned to the nursing profession and acted as the head of a convalesent home for Jewish women in Baden-Baden founded by Mathilde von Rothschild. Thekla Isaacsohn was among the victims whose deportation to the camp Gurs in the south of France was disguised as the “expulsion” of Jews from Baden and Saarland-Palatinate on October 22, 1940. There she died over 70 years of age on May 3, 1941. Frankfurt´s Jewish nurse association sent Rahel Spiero (later married Seckbach) to Gumpertz´ infirmary in 1907as successor for matron Thekla:; she wasin her earlier 30’s and an experienced nurse, having worked at hospital for seven years after completing her training and had offered private care in Frankfurt and Hamburg. She came from East Prussia (cp. with regard to the local history Brocke et al. (Hg.) 2000): She was born in Prostken (today´s Prostki, Poland) near the former German-Russian boarder on October 23, 1876 and belonged to the far-flung Spiero family group (also: Spiro, Spira, Shapiro, Schapira, obviously named after the Upper-Rhine city Speyer, Latin: Spira) with respected rabbis and scholars. In addition to her brother Oskar L. Spiero she had three younger sisters: Minna (Wilhelmine) Spiero (born in 1878), Rosa (Rosalie) Spiero (born in 1885), senior nurse at the hospital of the Jewish Frankfurt am Main community, and Ida Spiero (born in 1886), a professional teacher. They remained unmarried, probably because of the lack of suitable Jewish candidates for marriage. Rahel also married late in life. 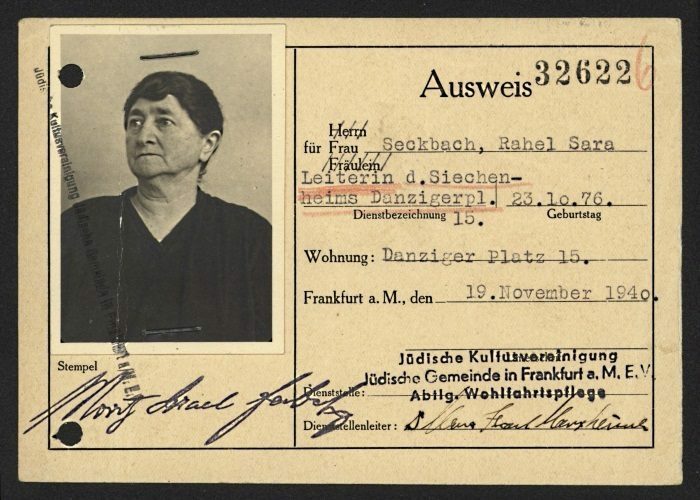 She was the only one who had a Jewish name (after the biblical matriarch Rachel) while the given names of her siblings already reflect the progressive acculturation of the German-Jewish minority to the majority of the Prussian-dominated society. Like other matrons (e.g. Julie Glaser) Rahel as the oldest of several siblings was early in charge of her family and thus trained her organizational skills which benefited her nursing career. Only one year after Rahel had joined Gumpertz´ Infirmary, the board was very pleased: “To everyone´s satisfaction, the new matron, sister Rahel, has become accustomed to her new, broad and responsible field of duties. We sincerely thank her for the loving way in which she fulfills her duties” (Gumpertz´ infirmary 1909: 5). Rahel was in charge of the newly erected large villa of the Minka von Goldschmidt-Rothschild Foundation (front house, initially 60 beds) as well as the older rear building (about 20 beds) at 62-64 Röderbergweg. Furthermore, she sustained the operation of care services at Gumpertz´ military hospital for wounded soldiers in the front house during World War I and was cooperated closely with the administrator Hermann Seckbach. For eleven years they worked side by side at the same place for the weakest in society and proved themselves as indispensable supports of the nursing home, before they became a couple through coping with war nursing. Matron Rahel Spiero was already 42 years old whe she married Hermann Seckbach in March 7th, 1919 – to the great joy of the complete infirmary. Their daughter Ruth Rosalie was born on December 15, 1919. “Sister Rahel has […] took up the matron job at Gumpertz´ infirmary in 1907. In this difficult job at the head of a large establishment with quite difficult tasks she earned the high recognition and deep appreciation of the administration, physicians and patients through her performance of leadership in administration and nursing with skill, a sense of duty and great kindness of heart., thereby earning great merit. In December 1918, she decided to leave our association in order to enter into marriage” (association for Jewish nurses Ffm 1920: 60 et seq. [emphasis in original]). The infirmary did not ask the association for a successor to the married matron, but “dispensed with renewing its contract with us and engaged the proven employee as administrator by itself” (ibid page 70). Rahel Seckbach continued to stay in this official position – rather unusual for married nurses of her time. : “The wife of the administrator assisted as the infirmary´s matron in operations. She still holds this position in both houses (Cohn-Neßler 1920, page 174). Stress and exhaustion in long-term care workers looking after incurable and severely disabled (cp. e.g. Lubkin 2002; Schmidt 2004) patients were issues which were less discussed than they are today. However, it can be assumed that matron Rahel, who married into the Seckbach family which wasknown for its piousness (cp. Klamroth 2006) and who herself had grown up with close ties to the traditional East European Judaism, “where the spirit of the Jewish doctrine fills people completely” (Seckbach 1918: 19), drew her motivation and energy to help from the healing powers of Jewish social ethics. Bikkur Cholim (hospital visit, nursing) and Gemilut Chasadim (charity, solidarity) were religious duties (Mitzvah), without “forgetting” oneself: “Operating in the service of charity is one of the highest ideals of Judaism”, wrote Hermann Seckbach, who was also an author. (1918b: 403). For more than three decades “Sister Rahel”, as she was respectfully and lovingly called, designed and mastered the care at the main location at 62-64 Röderbergweg as matron: initially in both houses, since the late 1920s after the renting of the front house to the City of Frankfurt, only in the smaller “rear building”. Right after the NS-seizure of power in 1933, she got “well-known” national socialists who quartered in the “front house” as unpleasant neighbors. Matron Rahel’s sisters Minna and Ida Spiero also found accommodation in the „rear building“ (now under the address ‚Danziger Platz 15‘) and probably supported her in her nursing tasks, which had been made more difficult by NS-reprisals (cp. ISG Ffm: “Hausstandsbücher” [records kept by the local police stations that listed Frankfurt´s residents sorted by street and house number] 36 Gagernstrasse: Sign. 687 (part 2)). Rahel´s husband Hermann Seckbach lost his job for life as administrator by the de facto dissolution of Gumpertz´ infirmary. After the November pogrom he was probably – like many other male Jewish fellow sufferers – temporarily held in a concentration camp. On March 7, 1939, he fled to England. Their daughter Ruth Seckbach had either left Nazi Germany before or accompanied her father into exile where she later worked as a teacher. She put her experiences as an “enemy alien” in England during the Second Wald War in writing (cp. http://www.nationalarchives.gov.uk/webarchive/, also see https://www.thegazette.co.uk/London/issue/38179/page/433, calls on October 24, 2017). It was probably planned that Rahel Seckbach should follow her family, which adverse circumstances, especially the beginning of the war in September 1939, prevented. After the house at 15 Danziger Platz had been forcibly evicted on April 7, 1942, Rahel accompanied about 40 residents of Gumpertz´ infirmary to her former workplace, which was then the last Jewish hospital on Gagernstrasse in Frankfurt. There she provided hospice care, since many of her patients succumbed to the stresses and strains of the forced location change. Rahel´s sister and colleague Rosa Spiero, a longtime head nurse in hospital, fled to New York just in time on March 24, 1941; she, worked there as a nurse into old age. On August 18, 1942, Rahel Seckbach was deported along with her sisters Minna and Ida Spiero to Theresienstadt ghetto and transit camp. Some of her patients like Siegmund Keller as well as many other nurses, residents and patients (cp. the article to Karl Falkenstein) from the destroyed Jewish care institutions in Frankfurt were on the same transport. Matron Rahel was imprisoned in Theresienstadt for almost 2 ½ years. Her unflagging concern for the needy kept her alive. In 1944, her youngest sister Ida Spiero was deported from Theresienstadt to Auschwitz, where she was very likely murdered. Rahel Seckbach and her sister Minna Spiero were rescued unexpectedly (see USHMM Database): On February 5, 1945, they got away in an emergency transport which had been permitted by Himmler for tactical reasons from Theresienstadt to Switzerland (St. Gallen). It was the only one, since Hitler himself forbade further transports (see Adler 2012; Flügge 2004). After recovering to some extent, Rahel could finally leave together with Minna to oin her husband and daughter in England. She remained weakened due to her imprisonment, but still spent four years with her husband in exile. 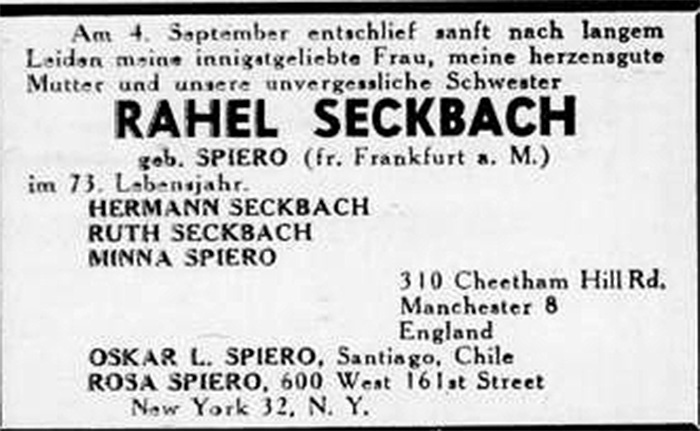 Rahel Seckbach died in Manchester at age 72 on September 4, 1949. A former fellow inmate, Dr. Leoplod Neuhaus, who was the first rabbi of Frankfurt´s Jewish post-war community who emigrated to Detroit in 1946, published an emotional obituary: “What this wonderful woman as the long-standing head of Frankfurt´s Jewish infirmary has achieved is known to all Frankfurt people [of the Jewish community, B.S.]. She has cared for the poorest of the poor and the helpless residents of the infirmary, who had been bed-ridden for years, in a way that she can be called an angel in human form. […] It reached the point that she even wrested respect from the ogres of the Gestapo. And when she, despite all, had to leave the infirmary with the Gestapo, she went with her patients to Theresienstadt concentration camp and worked there for them for almost three years as devotedly as she did before in better times. The little room on Jägerstrasse in Theresienstadt was “crowded” by people from morning to night […], and the ghetto praised her performance, the work of “Sister Rahel” “ (Neuhaus 1949). Adler, H.[ans] G.[ünther] 2012: Theresienstadt. 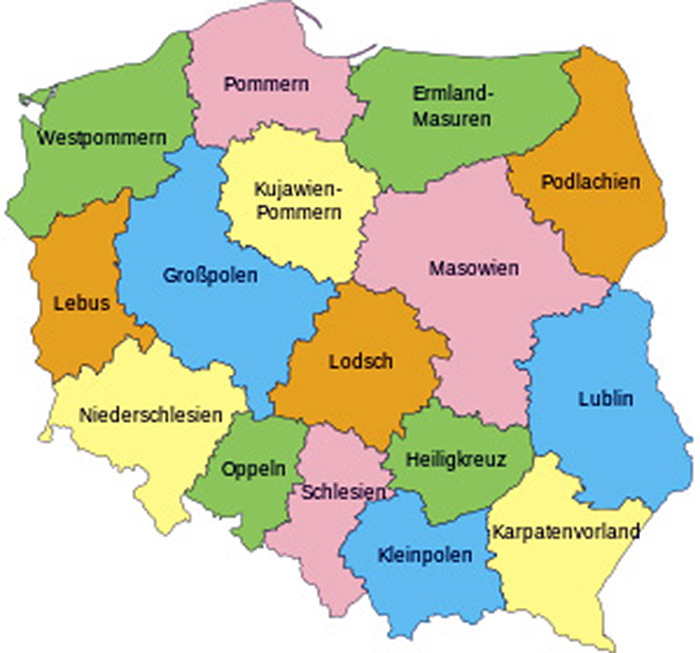 1941–1945. Das Antlitz einer Zwangsgemeinschaft. Mit e. Nachw. v. Jeremy Adler. 2. Aufl. Reprint d. Ausg. Tübingen 1960, 2. Aufl. Darmstadt. Brocke, Michael [u.a.] (Hg.) 2000: Zur Geschichte und Kultur der Juden in Ost- und Westpreußen. Hildesheim [u.a.]. Cohn-Neßler, Fanny 1920: Das Frankfurter Siechenhaus. Die Minka-von-Goldschmidt-Rothschild-Stiftung. In: Allgemeine Zeitung des Judentums 1920, H. 16 (16.04.1920), S. 174-175. Digitale Ausg. : http://www.compactmemory.de. Flügge, Manfred 2004: Rettung ohne Retter oder: ein Zug aus Theresienstadt. München. GumpSiechenhaus 1913ff. : Rechenschaftsbericht des Vereins „Gumpertz`sches Siechenhaus“ und der „Minka von Goldschmidt-Rothschild-Stiftung“. Frankfurt/M. : Slobotzky, 1913ff. Online-Ausg. : Frankfurt/M. : Univ.-Bibliothek Frankfurt/M., 2011: http://nbn-resolving.de/urn:nbn:de:hebis:30:1-306391. Jüdischer Schwesternverein Ffm 1920: Verein für jüdische Krankenpflegerinnen zu Frankfurt a.M.: Rechenschaftsbericht 1913 bis 1919. Frankfurt/M. Kingreen, Monica (Hg.) 1999: „Nach der Kristallnacht“. Jüdisches Leben und antijüdische Politik in Frankfurt am Main 1938-1945 Frankfurt/M., New York., S. 119-155. Klamroth, Sabine 2006: Die Mayers – die Halberstadts – die Bachs – die Seckbachs. In: dies. : „Erst wenn der Mond bei Seckbachs steht“. Juden im alten Halberstadt. Halle, S. 122-133. Lubkin, Ilene Morof 2002: Chronisch Kranksein. Implikationen und Interventionen für Pflege- und Gesundheitsberufe. Unter Mitarb. v. Pamala D. Larsen. Aus d. Amerikan. v. Silvia Mecke. Bearb. v. Rudolf Müller. Dt.-sprach. Ausg. hg. v. Regina Lorenz-Krause u. Hanne Niemann. Bern [u.a.]. Neuhaus, Leopold 1949: [Nachruf auf Rahel Seckbach]. In: Aufbau 15 (23.09.1949) 38, S. 41 [siehe auch Todesanzeige in: Aufbau 15 (16.09.1949) 37, S. 30]. Schmidt, Brinja 2015: Burnout in der Pflege. Risikofaktoren – Hintergründe – Selbsteinschätzung. 2., erw. u. überarb. Aufl. Stuttgart. Seckbach, Hermann 1918: Das Glück im Hause des Leids. Skizzen aus einem Krankenhaus und Lazarett in der Kriegszeit. Frankfurt/M. = Kriegsschrift der Agudas Jisroel Jugendorganisation; 4.